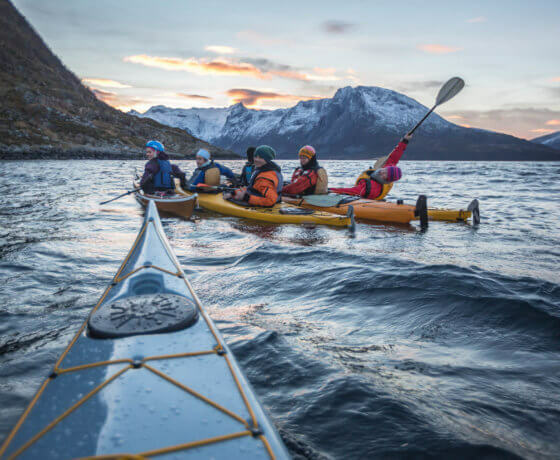 Due to some personal and professional reasons we are not able to run kayaking tours season 2018/2019! 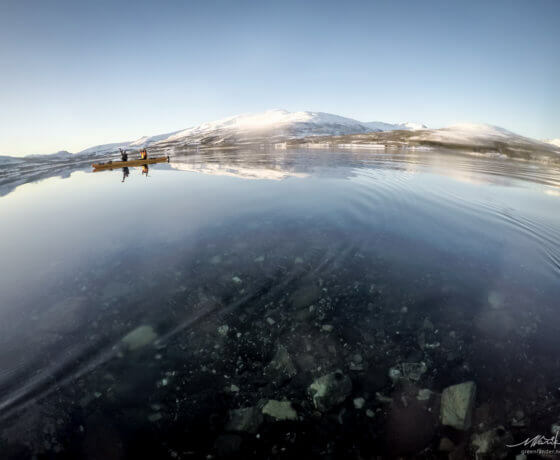 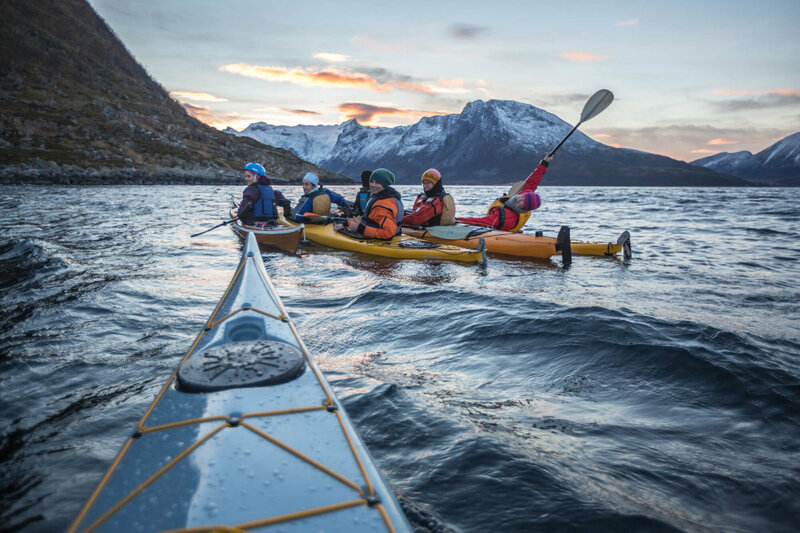 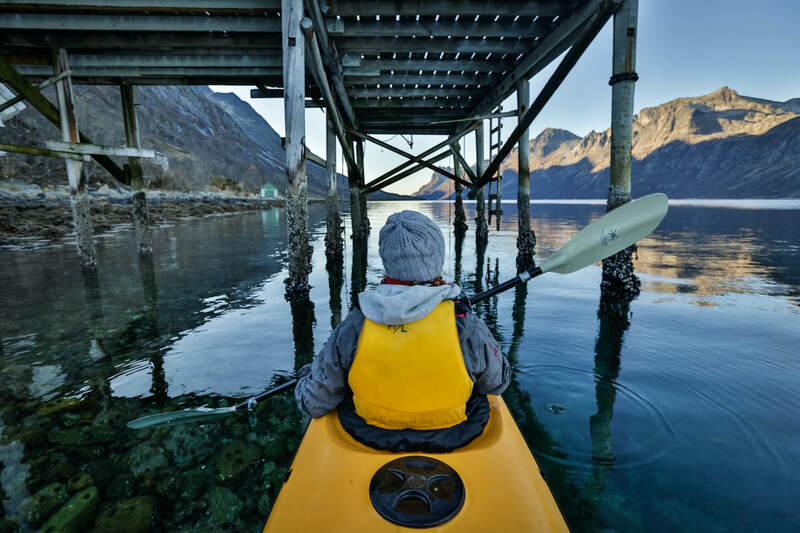 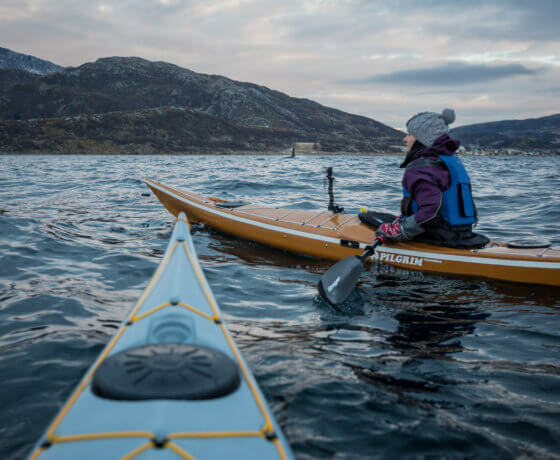 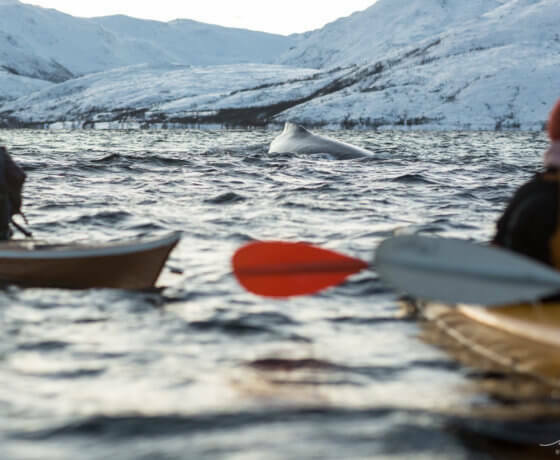 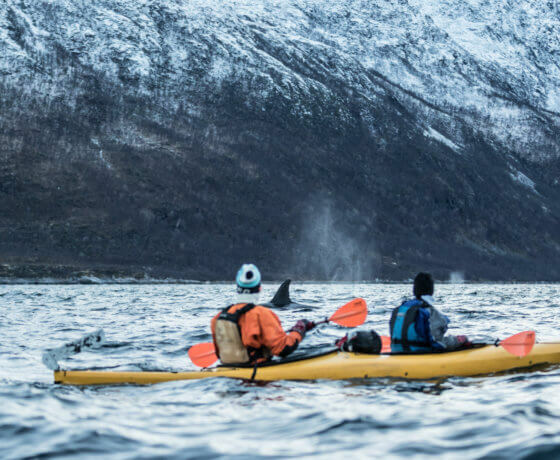 If you get inspired when you hear the combination of these three words “Winter” “Kayaking” and “Whales” then we have something special to offer you. 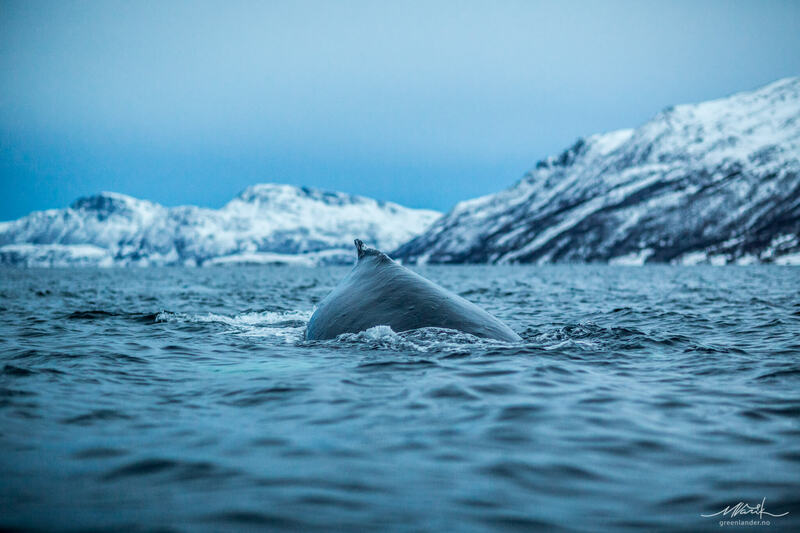 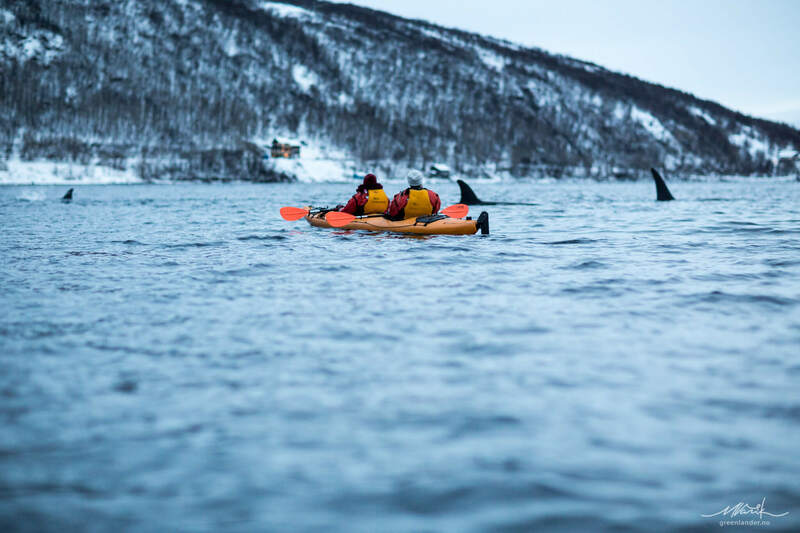 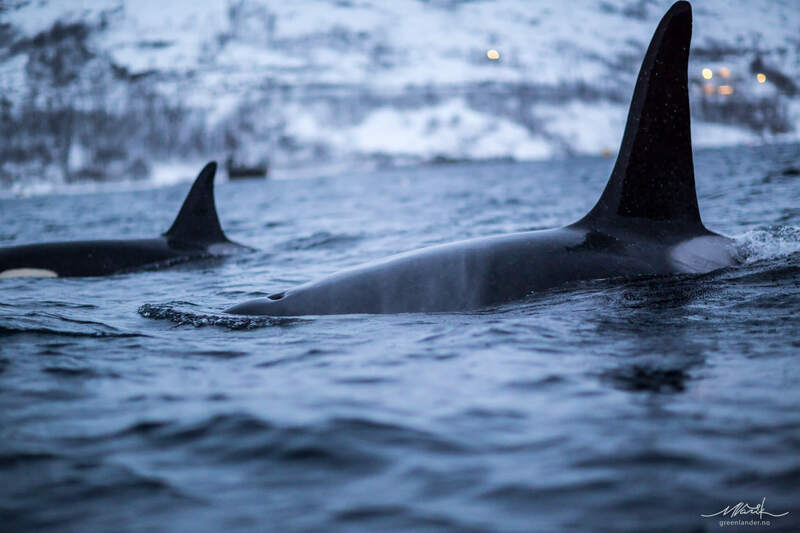 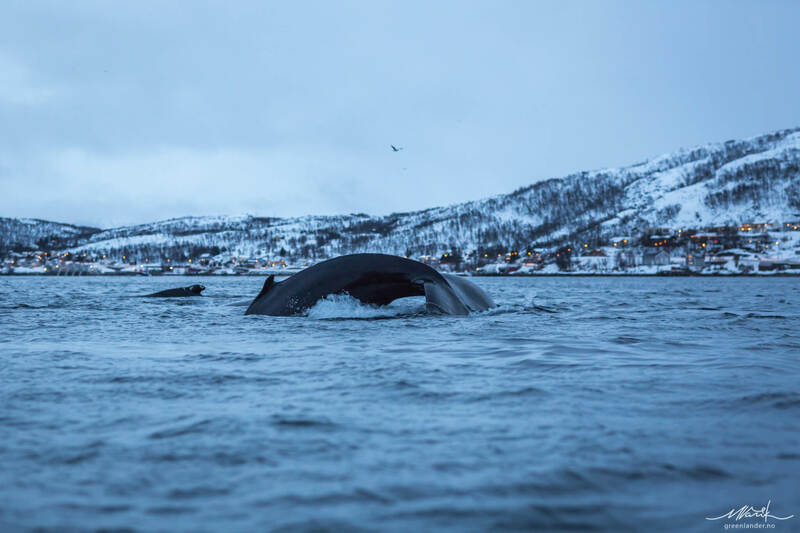 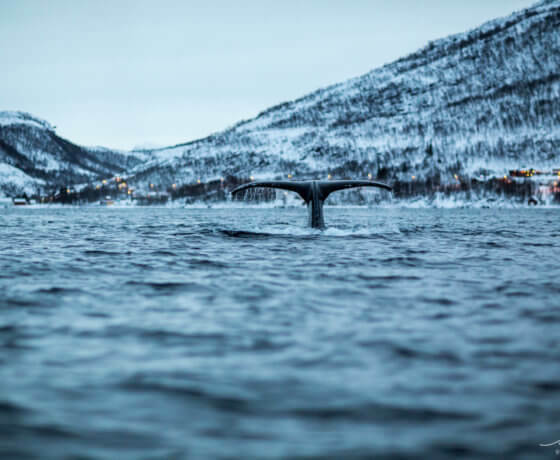 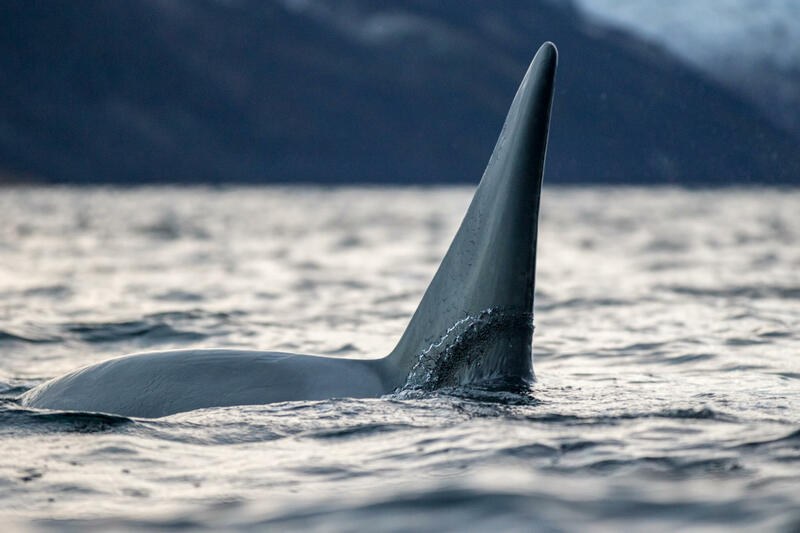 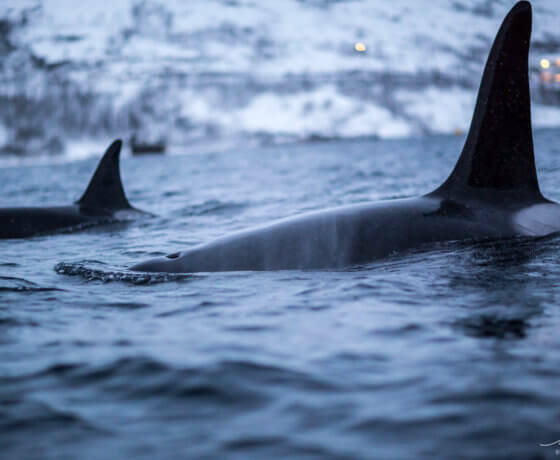 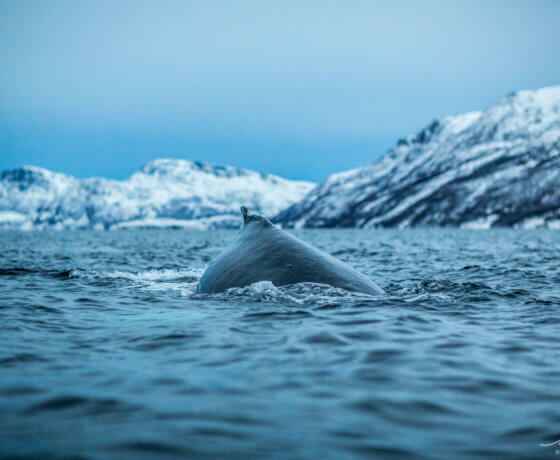 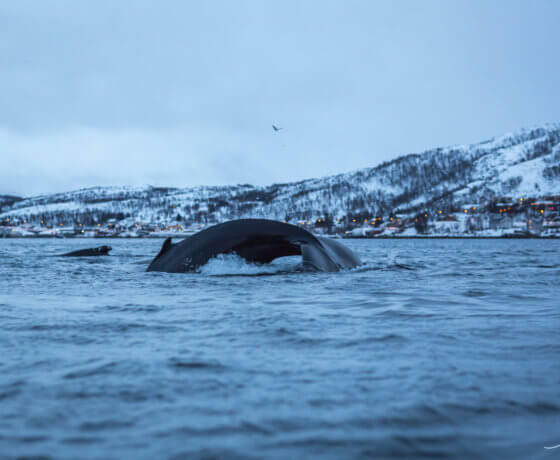 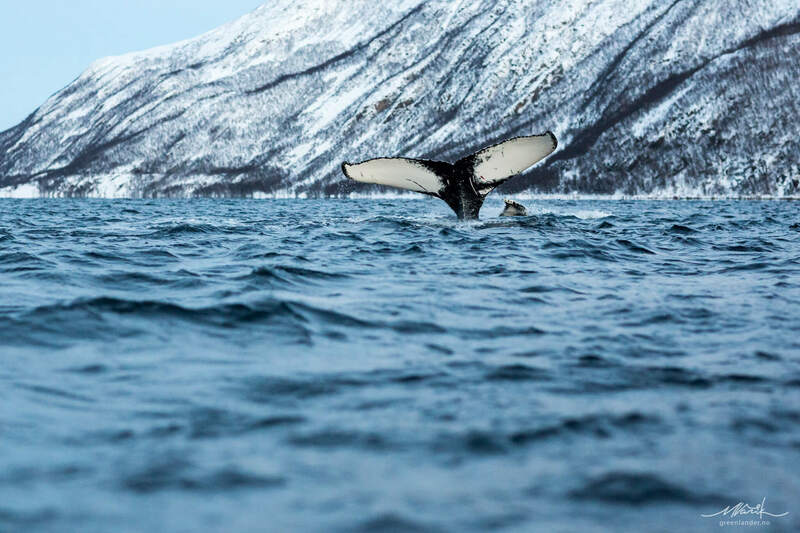 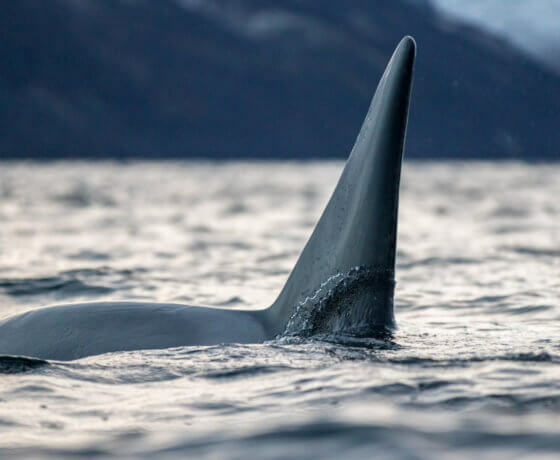 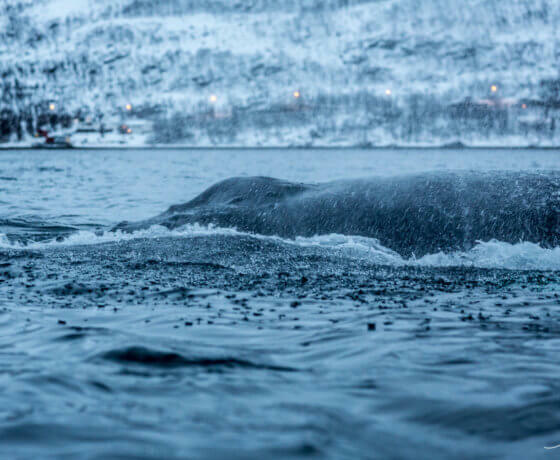 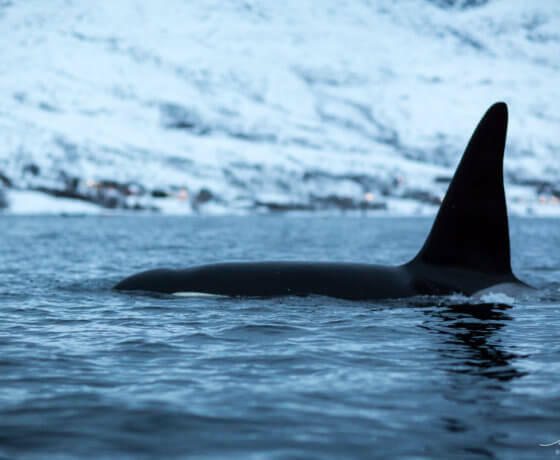 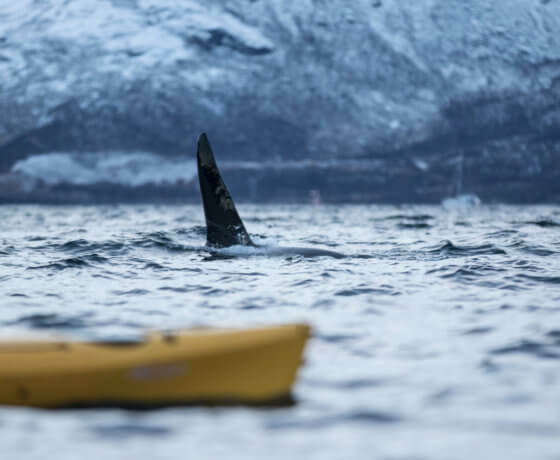 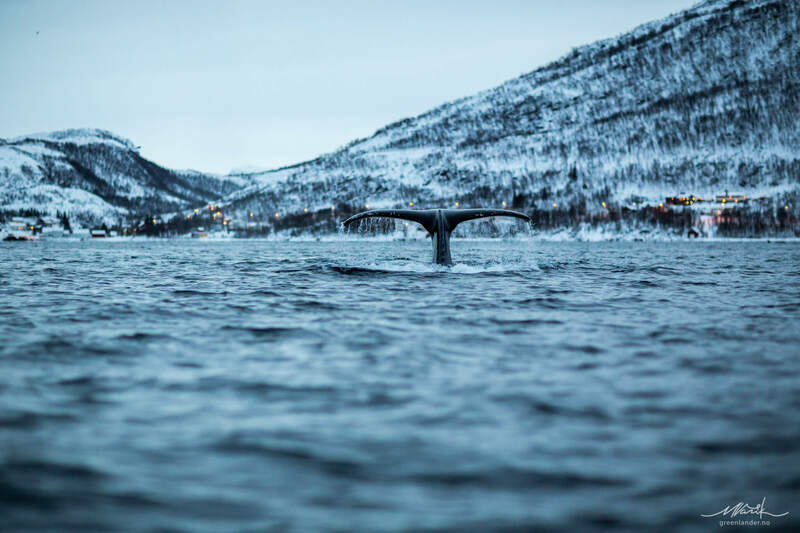 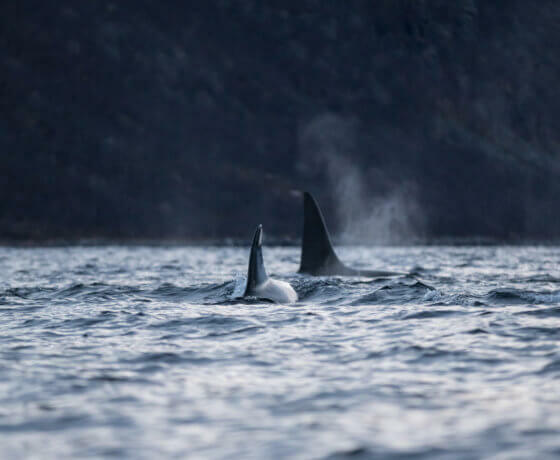 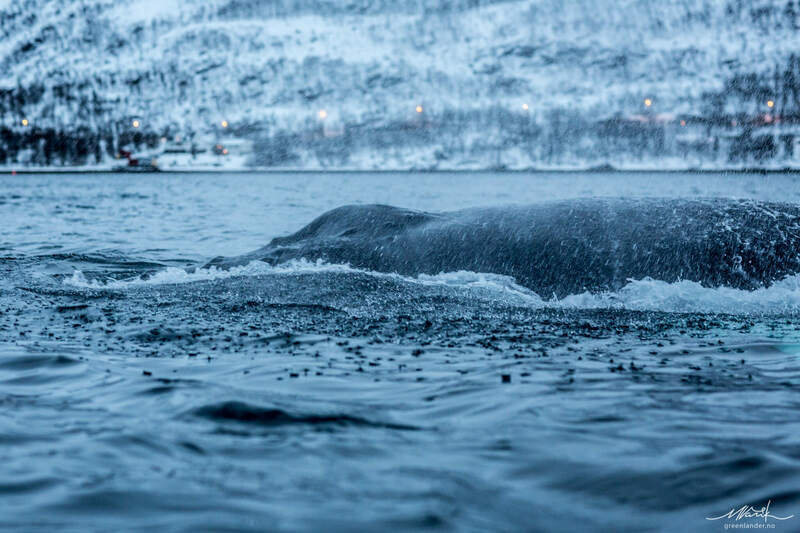 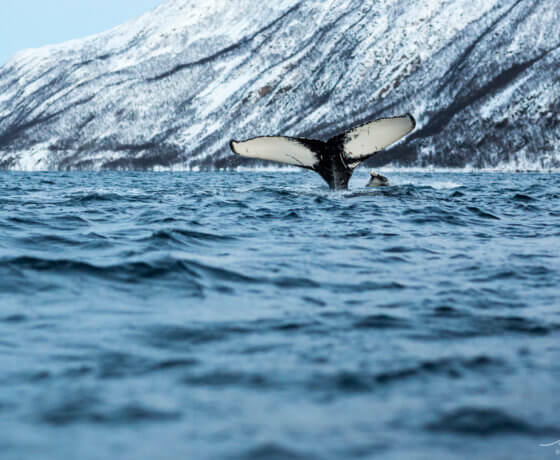 Between November and mid February, Orcas and Humpback whales come to their feeding ground in the fjords of Tromsø. 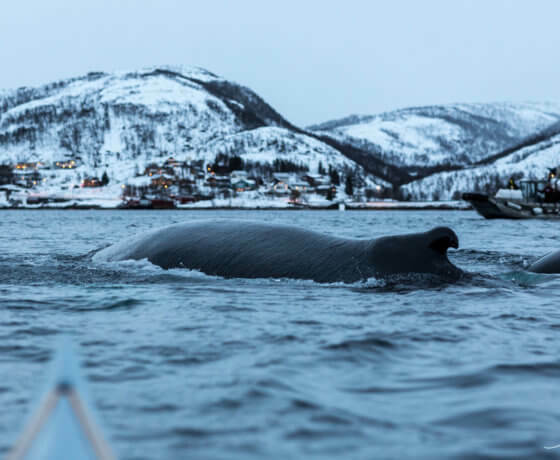 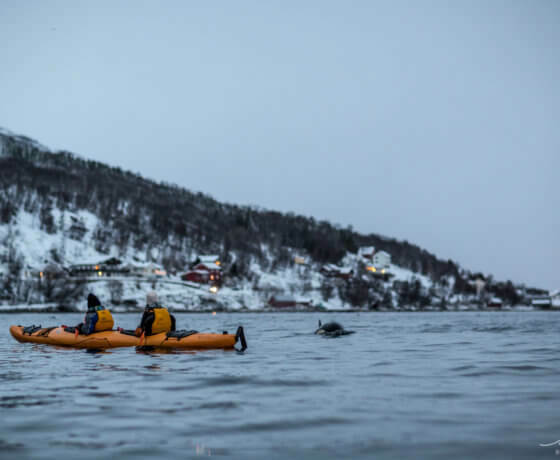 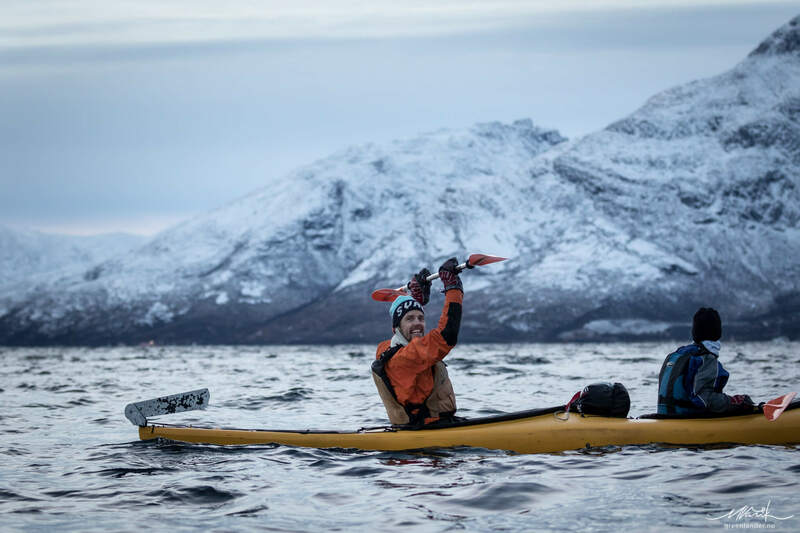 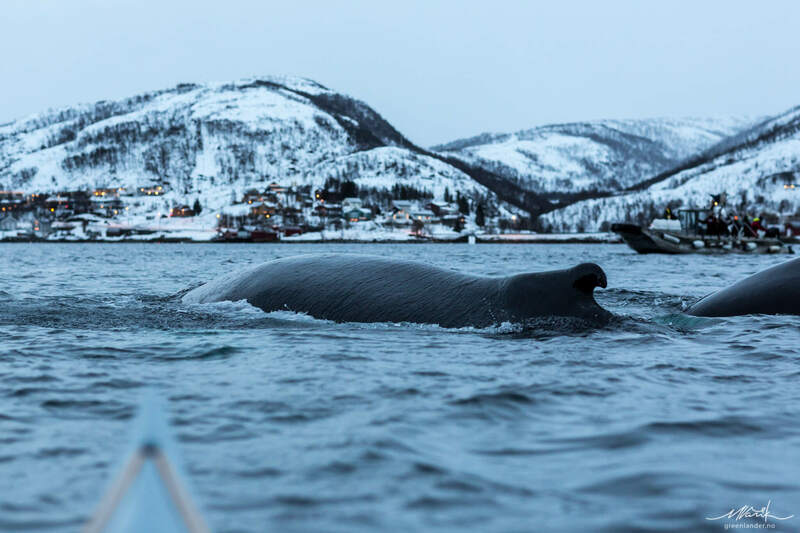 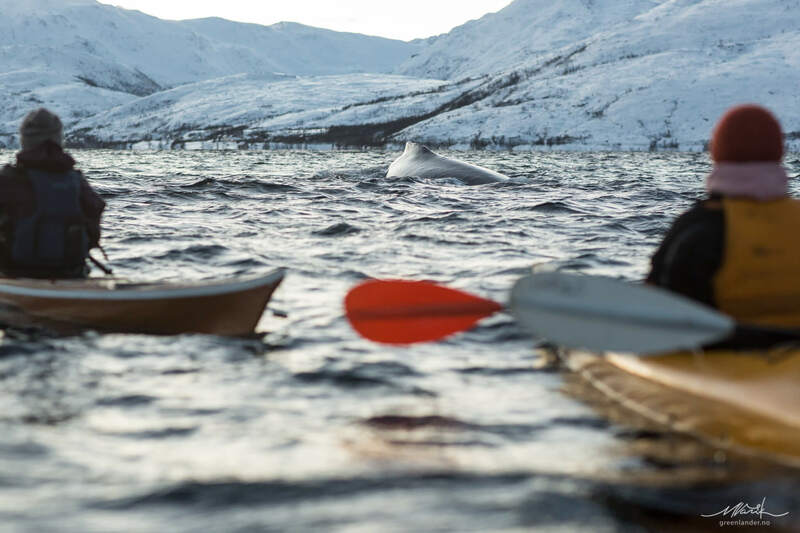 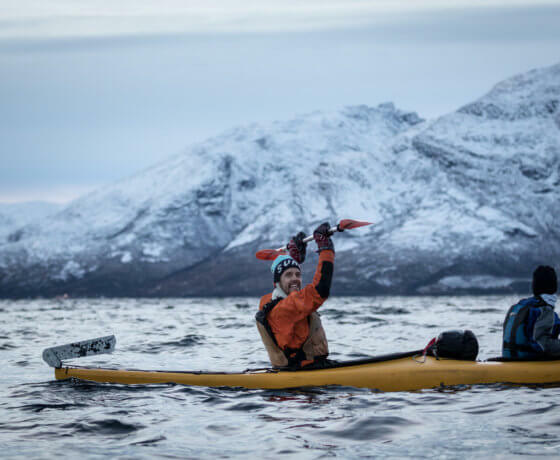 Some experiences are merely impossible to describe and kayaking with whales during a Polar Night is one of them. 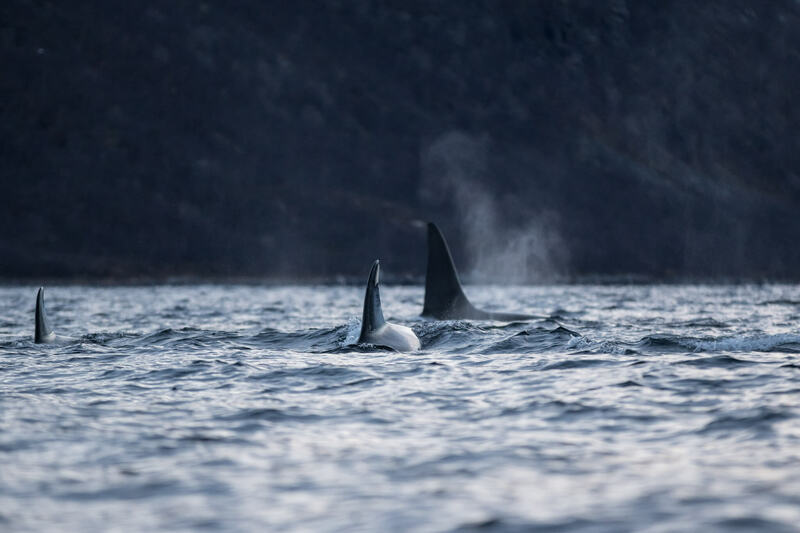 By the team of Greenlander, we invite you to join us on this journey to experience gentle giants in the wilderness, where they belong. 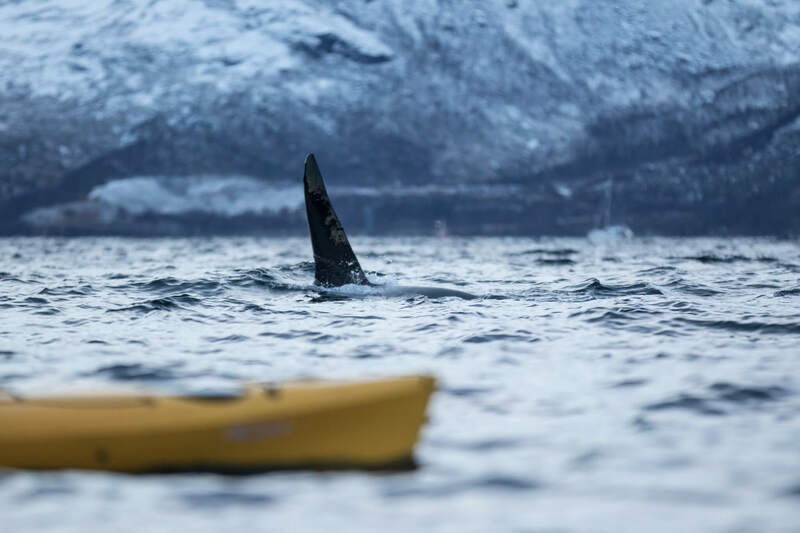 The goal is not to get as close as possible to the whales, but to be small and observant and not disturb wildlife in any way. 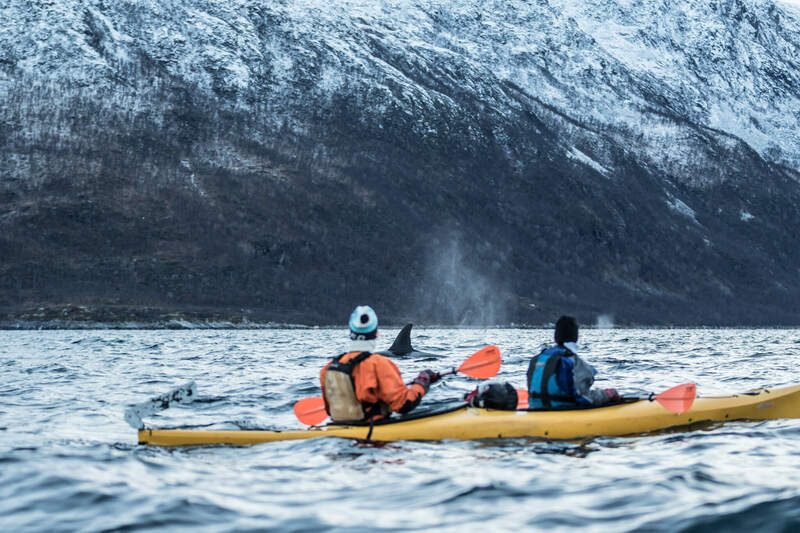 Usually the whales come to us. 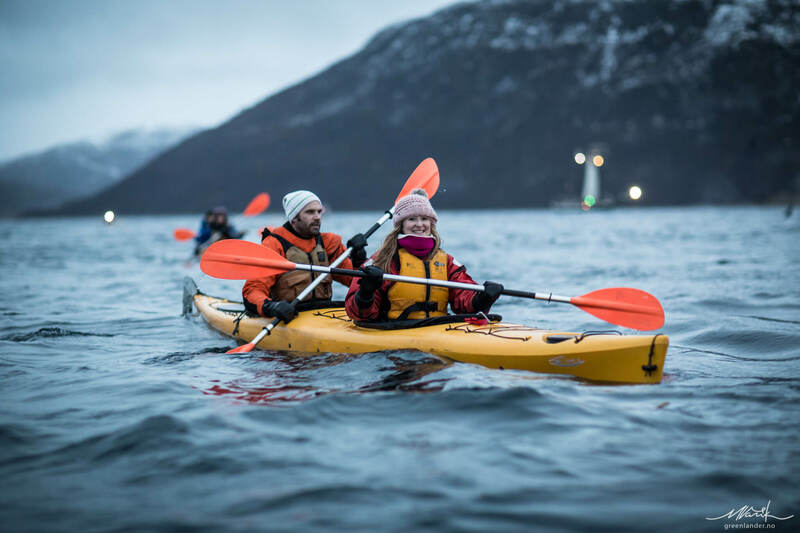 Our main priority is to keep you safe, the tour is suited ONLY for fit and healthy participants! 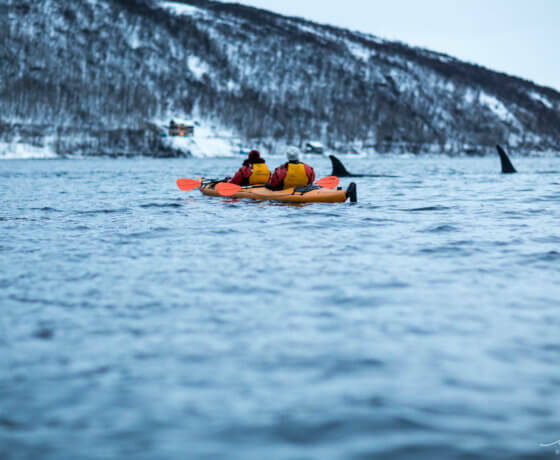 Although previous kayaking experience is not mandatory, we strongly advise you to consider your capability to participate on this tour. 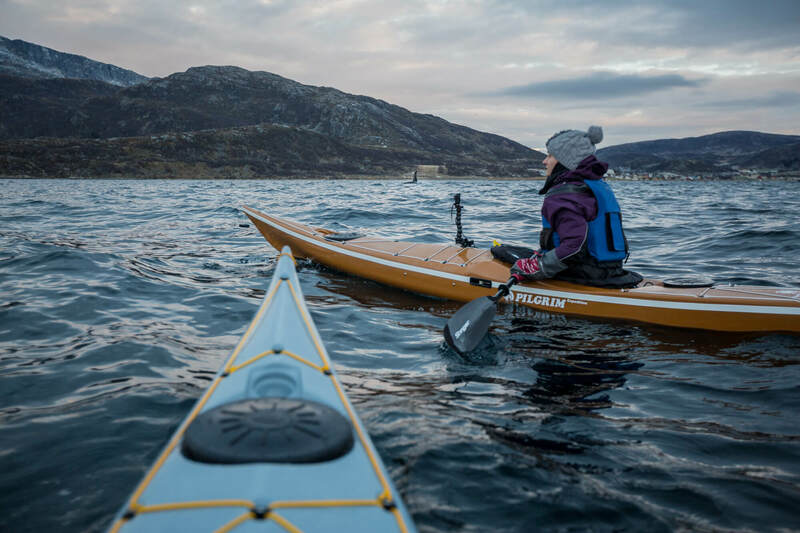 You need to be able to paddle at least 4km without breaks, if needed. 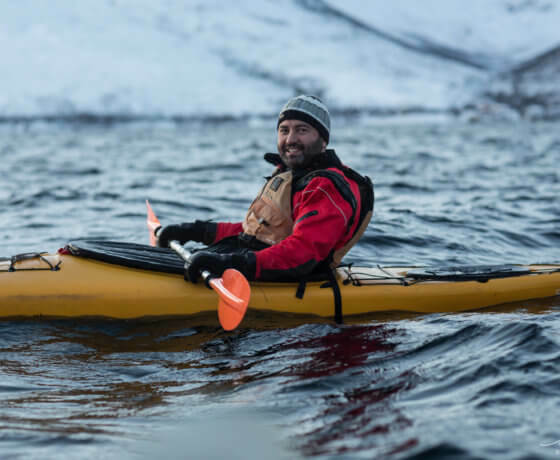 We provide a drysuit and all the gear for winter paddling. 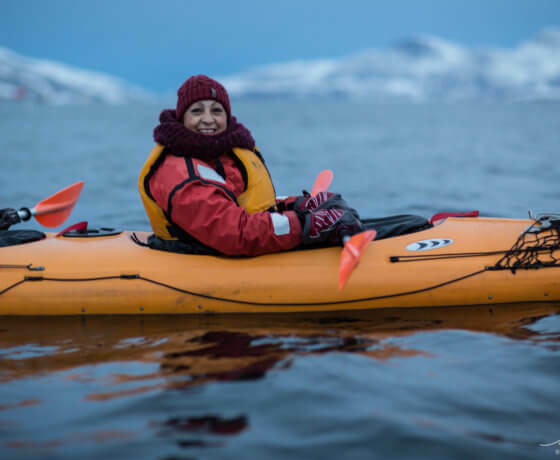 It is crucial that you have the necessary clothes suited for the Arctic weather, since we do not provide thermal under-clothing. 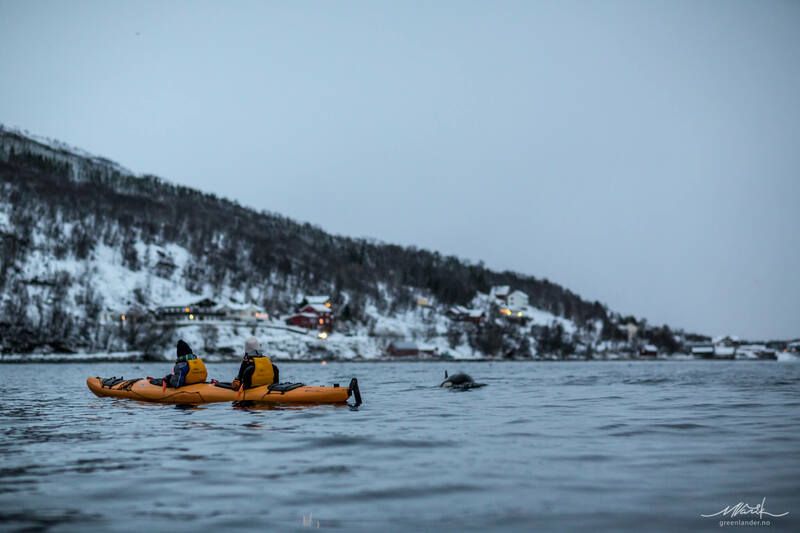 Please note that a drysuit does not keep you warm on it’s own, you need to wear proper layers of clothing underneath. 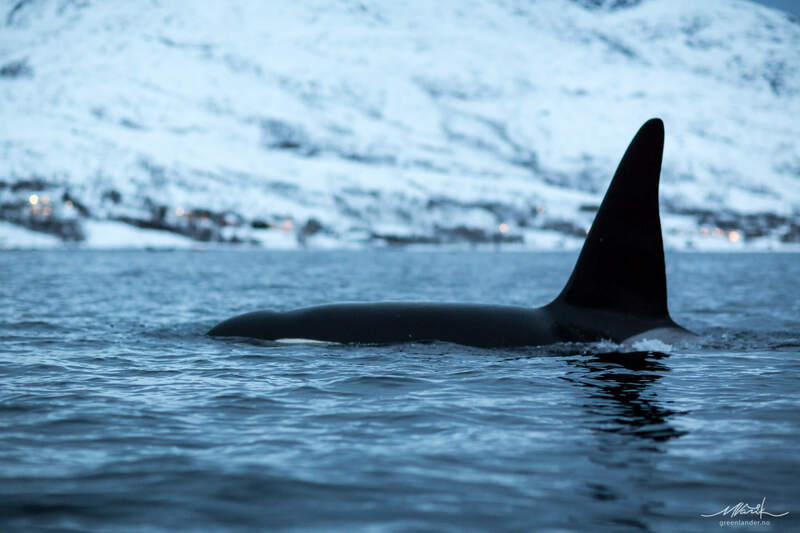 In case of any queries or concerns about the tour, please don’t hesitate to contact us -we are more than happy to have your questions! 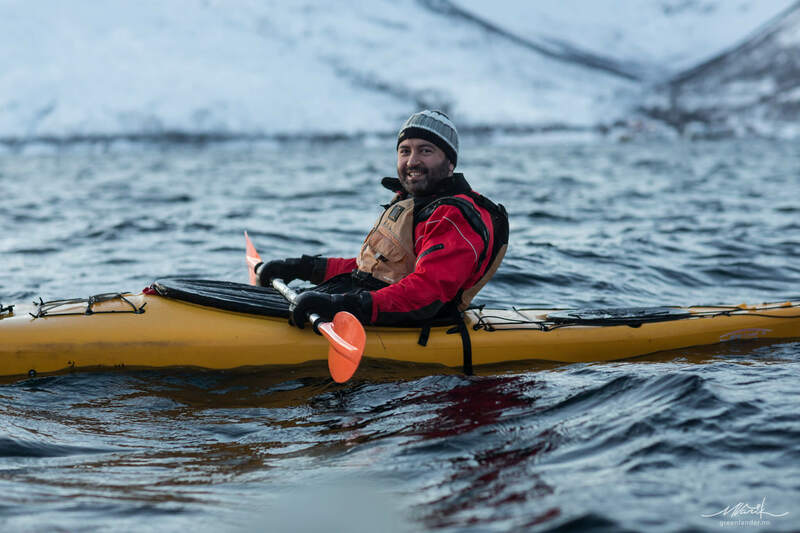 Your guides have qualifications in both personal and coaching BC (British Canoeing) certifications. 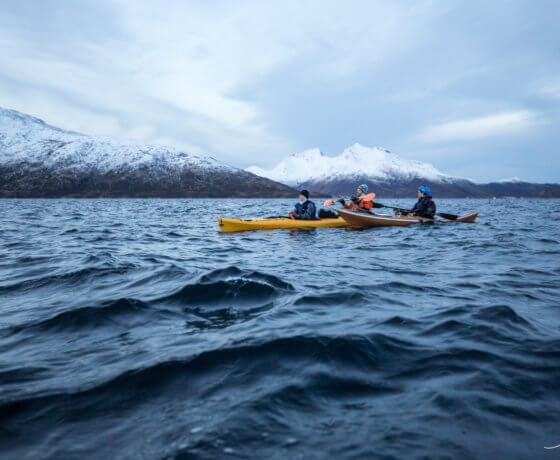 We have extensive knowledge in the local area and most certainly, we can ensure that you have the most enjoyable experience. 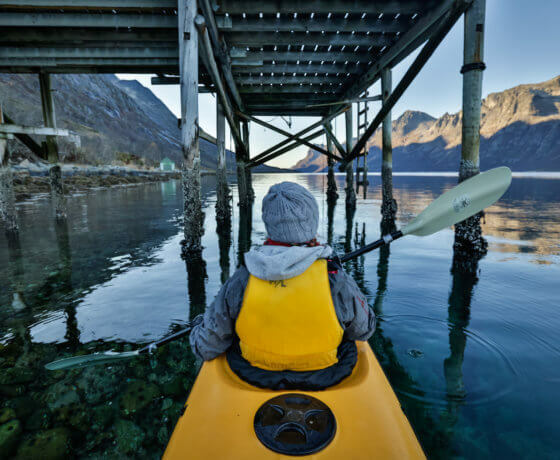 We pick you up from your hotel at 9:00am and drop you off around 3pm. 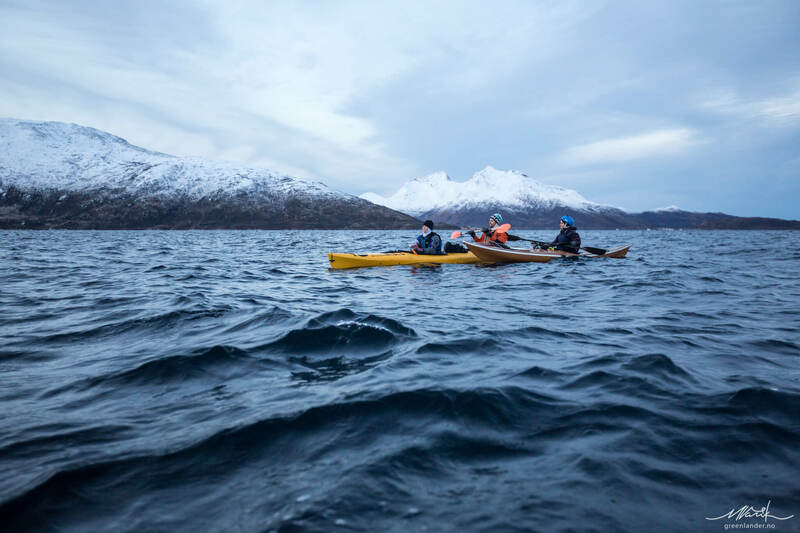 If the weather is not permissible to go out on the water then we will cancel the tour and you will either get a full refund or we will reschedule your tour. 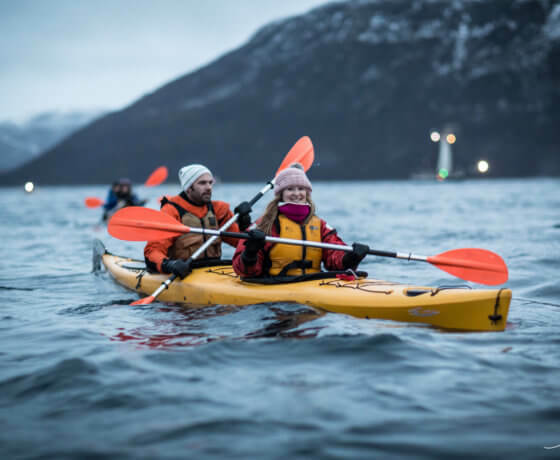 To book please contact us by writing a little about your previous experience in kayaking and your general level of fitness. 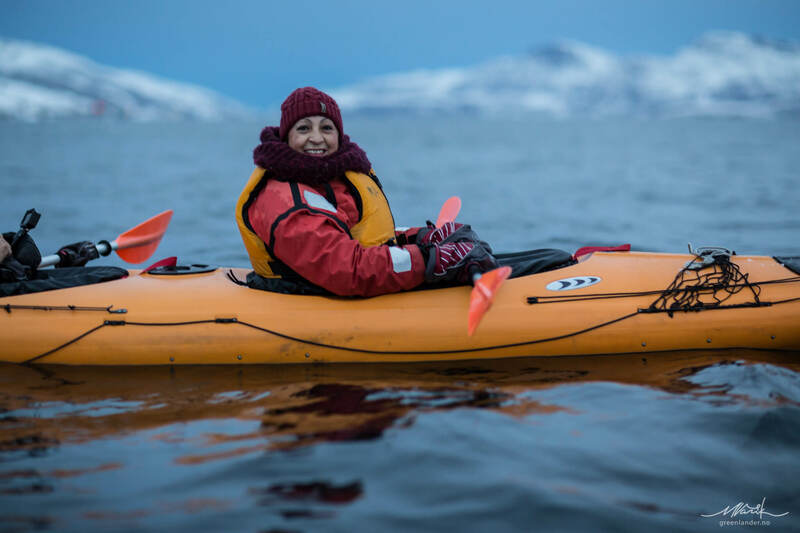 Warm base and middle layer of clothes!